03:12 Jeremy's line was shortened. Jeremy (reassuring): But that's not the same... You were a virtualised human being, not a polymorphic spectre! An artificial clone has no feelings, Aelita! 03:30 Jim should still be reading his "Sumo Mag". 12:50 There was a longer, more detailed fight scene between Jeremy and William. William (the real one) watches with delight as the Supercomputer rises up and leaves its cooling chamber. Wisps of smoke envelop and wind around him. The innards of the machine are exposed in front of him. We hear Jeremy's voice, off. Jeremy off: I had no idea you were into computers, William! The Xana logo in his eyes, William turns towards Jeremy, who has just rushed out of the lift. The two boys stand up and face each other. Jeremy throws a punch, then another. William dodges both of them with great speed. Jeremy swings another punch. William blocks the genius's hand and throws Jeremy against a wall. Jeremy makes a painful landing. William walks towards him menacingly, decided, merciless. William (distorted voice): And now, you're going to witness the total destruction of the Supercomputer and the end of your little gang of friends! This episode was originally titled "The Little Match Girl". 00:01 The episode begins with a more detailed explanation of the flashback, giving information on the location in question (the Swiss Alps), the fight neutralising Waldo Schaeffer, as well as the way Aelita was separated from her mother. While she continues constructing her snowman, Aelita suddenly notices a wolf, perched on a snowdrift not far from her. The wolf watches her. The chalet is deserted. Aelita calls her parents again, in vain. That's when Franz Hopper bursts into the room. He seems desperate, and his clothing is torn, as though he's been in a fight. Franz Hopper seizes his daughter by the hand and leads her out of the house through the back door. Aelita just has enough time to grad Mister Puck, the plush toy her parents had just gifted her. Hopper wildly packs Aelita into the car and shoots off, escaping the men in black attempting to bar the way. The little girl demands her mother, crying. 05:48 Aelita reads “Viking Legends”. He twists her wrist, forcing Aelita to bend over. Then with a backwards swing of her free elbow, she manages to break free a little. Then, she swings her leg across the floor, sweeping William's out from underneath him and surprising him with her dexterity. The boy collapses while Aelita seizes the chance to flee. Recollecting himself, William signals the door Aelita escaped through to the false Hopper. 17:29 In the script, Aelita's fall was drawn out. Aelita is about to reach the surface of the Digital Sea. As if in slow motion, she casts a final sad look at her friends, who have finally flown up above her, but too late. Then she hits the surface. A column of energy rises up from the place where Aelita just disappeared. 22:00 Finally, the scene where Franz barely escapes William was less dynamic in the script. Aelita doesn't even throw William off with her energy field, saving her father just in time. Still hindered, Aelita turns around. Aelita (exerted): Daddy!!! You have to get away!!! Hurry!!! William approaches, an evil grin on his lips. William points his sword at the sphere, arming his shot. That's when, in a final burst, the sphere regains a little of its light and begins to move towards the edge of the plateau. William tries to attack, but the sphere topples into the aid and then falls into the Digital Sea, vanishing into it. William turns to Aelita, furious. This episode was originally number 85. No difference between the script and the episode. 12:30 Only 4 Krabs instead of 5, Ulrich wasn't able to destroy any at this point. 13:45 The handle should have been yellow and black. 14:15 The whole fight scene on Lyoko was different. Aelita creates an energy field in her hand, which she propels at William. He dodges it, then rushes at Aelita. Meanwhile, Ulrich, Yumi and Odd are fighting the last two Krabs. Ulrich jumps up above one of them to land on its back. A wild rodeo begins. But from the height of his perch, Ulrich sees Aelita in danger. Odd and Yumi turn around in surprise and notice Aelita backing away from William, who's coming towards her. Ulrich finishes off his Krab by stabbing one of his sabres into the eye of Xana. Leaving the Krab he'd been showering with arrows, Odd aims at William. Odd: I don't think the lady wants to dance with you! The Krab seizes the opportunity to hit Odd with its lasers. But Yumi has already approached William with a series of impressive flips. She throws her fans at William, who blocks them one by one with his sword. Yumi lands in front of William and catches her fans. Before she can throw them again, William tries to slice Yumi in two with his sword. But the girl avoids the fatal blow by doing a backflip. Yumi then manages to kick him, which knocks Xana's henchman off balance. Aelita seizes the chance to run towards the tower. She freezes all of a sudden: a Tarantula appears in front of her, blocking the way. It lands loudly. Determined, she summons a ball of energy in her hands. Aelita (enraged): Right... Time to stop playing around! William stands up, but Yumi is already on him, delivering a karate kick. But William dodges it and retrieves his sword. He tries to hit Yumi by beating the air with his blade. But the girl dodges every time. She catches her fans and launches a counter-attack. But William is faster: he knocks the fans off-course, then plants his sword in the ground and spins his body around it. He sweeps his legs through the air and Yumi collapses beneath them. On the ground, she just has enough time to lift her head to see William's blade come down on her (depixellisation off). Ulrich, who's fighting with the last Krab (the one that devirtualised Odd) witnesses the scene with horror. Mad with rage, Ulrich fiercely attacks the last Krab. A sabre hit destroys the monster, devirtualising it. Aelita bombards the Tarantula blocking the tower with a myriad of energy balls. The Tarantula retaliates by laying intense fire down on Aelita, forcing her to beat a retreat. Ulrich energetically fights William. William disarms Ulrich, then swings his blade at the boy. Ulrich manages to stop his enemy's sword by blocking it between his bare hands (palms flat)! William seizes the chance to deliver a violent kick that causes Ulrich to double over. Ulrich dodges William's raging sword swings with feline grace and flexibility. He even manages to throw a huge punch that knocks William to the floor. Ulrich (smiling): That's my remedy for an swelled head! Furious, William jumps to his feet and continues the assault. William and Ulrich, who has drawn his second sabre, are sword fighting. On her end, Aelita is still fighting the Tarantula. A laser hits her in the leg, throwing her off balance. This catches Ulrich's attention, just after William parries his blow. Ulrich does an about-face and rushes over with his sabre pointed at Xana's creature. The sabre hits the Tarantula (who has its “head” lowered towards Aelita) right in the eye of Xana. Stabbed, the Tarantula is destroyed. But Ulrich is disarmed and William takes advantage of it. He slashes Ulrich with his sword; the Lyoko Warrior disappears. Aelita stands up and hurries towards the tower, there being nothing in her way now. William gives chase, blade in hand. He throws his weapon in her direction. Luckily, Aelita enters the tower before she's hit. 21:52 On the other hand, a big cut from the end of the episode: the scene where Aelita learns that Jeremy was the source of a postcard written to her should not have been interrupted by Jim, but rather have ended on a set-up suggesting there was a kiss to come. Aelita: It reminded me that I'm not alone in the world...that someone cares about me. Aelita approaches Jeremy, close...very close. An embarrassed silence fills the room. This episode was originally number 86. 01:34 We open with an extended scene. Aelita: I don't see what that has to do with it! Odd: They had to do something with their time! So they made up impossible stories where people die for love! (To Ulrich) Would you be ready to die for Yumi, Ulrich? 02:10 The script offers a summary of dialogue spoken by the students. 02:24 A small part of the script gives us the exact spelling of Bringa's surname: Erinsdottir. 02:50 A slightly too scientific line felt the effects of a cut. Aelita (passionate in then off): ...Are you saying, then, that your program lets you modify gamma waves by doubling the frequency of incident light? Is that it? 18:05 Again, the script gives us a summary of the dialogue spoken by the students at the pool. William continues protecting himself from Odd's lasers. Suddenly, he rushes at Aelita, shouting with rage. Crashing into the young girl, he propels her towards the edge of the plateau. The boy dashes forwards and dives into the air as well. And so we have: William hanging off Aelita, who is hanging off Odd, who is clinging to the wall. All dangling above the Digital Sea! William looks at Odd, and with an evil smile, slowly raises his sword, preparing to throw an “energy disk” at him. Aelita obeys, and lowers her head. We notice that William is on the exact axis of Odd's arm, which is holding up the girl (in other words, after Aelita ducked her head, it put William right on the trajectory of the laser arrows)! Taking a direct hit (the arrows pass a few millimetres from Aelita's back), William lets go and devirtualises as he falls into the Digital Sea. Aelita lifts her head and looks at Odd. Jeremy: In any case, this has taught us a lesson: our friendship must be protected as well as we protect Lyoko! This episode was originally number 88. In French, it was originally going to be called “Cave canem” (Latin: “beware of the dog”), then “Kiwisuperstar” as a single word, before finally becoming “Kiwi superstar” as two separate words. This episode was originally number 83. In French, it was originally called “Amok” then “Dans l'espace” (“In Space”) before being called “Planète bleue” (“Blue Planet”). 02:08 The first of the three photos should have shown Sissi next to her father during a dinner party. The principal, glass in hand, is standing up and ready to give what seems may be a hilarious toast. 10:00 The Skid should have entered the Core Zone via the South Pole, encountering mechanical jaws protecting the entrance. 17:56 The steel balls opened into two, like Megatanks, in order to spray a powerful acid on the wall in order to create a crack large enough to go inside and get at the heroes. This episode was originally number 87. This episode was originally number 91. In French, it was originally called “Il est déraisonnable d'être raisonnable” (“It's Reasonable to be Unreasonable”)...before being given its current title “Il est sensé d'être insensé” which is a direct line from the Subdigitals song S'envoler. In English the song is Break Away and the line is “Being sensible is just not sensible”. 00:55 The script allows us to see Ms Hertz's complete monologue. 02:06 A slight attitude change. Aelita watches him go and turns to Ulrich, surprised. Ulrich, with his hands in his pockets, shrugs while tilting his head slightly to the side, eyes closed. 08:22 A small scene between Odd, Milly and Tamiya was cut. On their way through the hall, the trio cross paths with Milly and Tamiya, who haven't given up on interviewing Aelita. Odd stands in the way of the girls, stopping them in front of the trio. Odd (mocking smile): If you're here for Aelita, you're a little too late girls, the concert starts in just a few minutes! Tamiya (serious): That's more than enough when you know how to do your job! She pushes Odd to the side and continues on her way, followed by Milly. Milly (dead serious): And we owe it to our readers! The girls follow the hallway towards Aelita's room. The heroes look amused and flabbergasted. 09:18 A small deleted scene that would have introduced the soon-to-be xanafication of the two little journalists, all while reinforcing the impertinent aspect of their characters. The two budding journalists look disappointed, resigning themselves to leaving and returning to the concert hall. ...Or rather, pretend to do so. As soon as they're out of sight, they spy a recess in the dressing room and steal inside. Milly (gesturing to Tamiya): Pssst! Over here! 11:22 The fight scene between the heroes and the two xanafied girls was originally more violent. Clearly, the two girls have also been xanafied! At the same time, they both send a bolt of lightning at the group. Our heroes dodge. One of the shots barely misses Yumi's head. Yumi: And they think this is our fault! Milly lunges forward at Ulrich, who has trouble dodging her successive punches and kicks. Odd and Yumi face off against Tamiya. ...Landing on his back allows Tamiya to bounce off and follow with another jump towards Yumi, who can't avoid it; with a kick, Tamiya propels the girl to the ground. 15:00 A roll of cable Jeremy brought to the factory was supposed to be used to tie Sophie up in a corner of the lab. 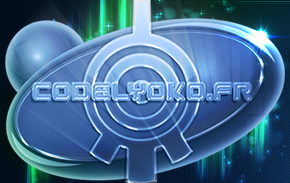 17:00 There were a lot of changes to the fight on Lyoko, extra dialogue, Supersmoke and Yumi falling towards the Digital Sea (again). Odd shoots a round of arrows at the kankrelats in rhythm, causing them to explode under his fire! Yumi is still facing William, this time in an aerial duel, but she's still having trouble dealing with the Manta's lasers. William rushes at Yumi, goes into Supersmoke and materialises in mid-air beside her. He gives her a masterly kick that throws her from the Overboard before going back into Supersmoke, returning to the Manta and solidifying again! Yumi, in free fall, is caught just in time by the Overwing, but William attacks again! Odd comes to the rescue and hits William in the back with a laser arrow! Yumi (stealing Odd's line from the Sophie fight earlier): Odd...! Lateral flight pattern and pincer strategy! Odd (getting the reference): Are you speaking English? * Translator's note: Here Odd uses the French word batterie, which means "drums" as well as "battery" as in a battery of laser arrows. Aelita (embarrassed): Yes Sir, Aelita Stones is my real name. I'm the daughter of uh... (She thinks) Oliver and Sharon...Stones. 08:53 Jim's defeat was a lot more fantastical. Jim is on the floor, with Jeremy sitting on his back, while Odd restrains his arms and Ulrich his legs. Jim: Nice teamwork, kids. But what the heck are you thinking? Hnnnng! Jim's face becomes red as he tries to force himself free. Ulrich and Odd keep a firm grip on Jim's limbs as they shake about. With some effort, he rolls over. Jeremy is thrown off and Yumi leaps on top of Jim and starts tickling his abdomen. Jim stops struggling and contorts, screaming in a mixture of laughter and rage. Jim (shouting) Ah! No please, no, HAHA! Enough, it's despicable! Hahaha! Jeremy: Hurry, guys! Tie him up! Ulrich ties his arms behind him with his belt, then Jeremy quickly ties up his legs with his belt. Wasting no further time, and leaving Jim bawling after them, the four Lyoko Warriors leave the library. 19:15 The script offered a different definition of the reboot. On Lyoko, the Forest Sector shudders and the Lyoko Warriors (Yumi Ulrich and Aelita) are struck by an electrical discharge (the famous “reboot”), which draws cries of pain out of them. The remaining Tarantula also howls in pain. Then everything regains its normal appearance. Yumi and Ulrich hold their heads but slowly recover little by little. Aelita seems to be emerging from a villainous nightmare: she shudders, incredibly weak, and lets go of Ulrich's sabre... Her pupils have returned to normal. This is unfortunately the only episode that we still haven't managed to obtain the script for. 16:50 The episode offers an alternate version of William's defeat, during which Ulrich takes his revenge for the numerous times he was humiliated in previous episodes. Ulrich goes to attack William - who's standing in front of him - with his sabre. But William dodges the blow by disappearing, suddenly metamorphosing into black smoke (Supersmoke). Moving quickly along the ground, the smoke passes between Ulrich's legs and recomposes (so, into William) behind the Lyoko Warrior. William goes to bring his sword down on Ulrich when the boy quickly turns around, pivoting on himself, and thrusts at the same time as William, aiming for waist level. This time, Ulrich was faster. Ulrich turns to Aelita and smiles at her. Aelita: All clear, Jeremy! We took care of William! 09:25 William shouldn't have appeared until later. As for the Kolossus, it should have been a lot earlier! In the lab, Jeremy types on the keyboard. In another window (“ice radar”), the icon representing the Kolossus approaches the tower to which the Skid is anchored. Jeremy (in and off): Yes, you've got visitors... And since Xana is drawing energy from all the Replikas, it must be your good friend the Kolossus! Jeremy types on the keyboard. Jeremy (worried): Aelita? Odd? How's it going? Ulrich points to something out of frame. Indeed, at the other end of the plateau, the Kolossus appears from behind an iceberg, progressing slowly yet surely towards the tower to which the Skid is anchored. Jeremy (off): Try to slow him down... Here come your vehicles! The overbike and the Overwing materialise in front of Ulrich and Yumi. They jump on their respective vehicles and make way for the Kolossus (Ulrich on the ground). Shot of Ulrich driving in the background of the desolate surface. Up above, Yumi is also making her way to the giant monster. The closer they get, the more they realise just how big the beast is. That's when three Flying Mantas fly out from behind the Kolossus, heading straight for Ulrich and Yumi. William is perched on top of one of them. Yumi receives the first round of lasers in mid-flight. She manages to dodge the shots in a careful slalom. Ulrich: I feel a storm brewing! The Kolossus is still advancing towards the Skid, anchored to the tower. On board her Overwing, Yumi circles around the giant, followed by the two Mantas in an attempt to intercept her. Holding the handle with one hand, she throws a fan with the other. The fan curves around and hits a Manta. The Manta devirtualises. Avoiding a laser on the way, Yumi makes a sharp dive to intercept her fan as it finishes its arc. She catches it in mid-flight; but at that moment, she finds herself not far from the Kolossus's right hand. It attempts to grab her. At the same time, Ulrich drives across the floor of the ice, followed by William's Manta. The Manta sprays him with lasers, guiding him away from the Kolossus. Ulrcih: Alright, I've had enough of this! Doing a U-turn, he drives back towards the Kolossus. His gaze is drawn to a detail on the Kolossus. Ulrich (to himself): What is that thing? His POV: a sign of Xana, imprinted on the monster's arm. But the Manta that was after Yumi abandons its prey and tries to intercept him, bombarding him with lasers. 10:17 The script gives us a more complete description of the cyborgs...and one slightly different to the final product. 19:17 A quick line from Odd, who ends up devirtualised in the script, unlike in the animated episode. He opens his eyes wide and dumbfounded when the Kolossus raises what constitutes as its foot above Odd, in order to crush him. Odd: Oh no, not the half-pint! 20:54 The line William says on his return is different in the script. Aelita and Yumi turn towards the corner of the scanner room. William is there, sitting down, supported by Ulrich and Odd. He has just regained his senses. He seems exhausted and lost, but happy. William (enthusiastic in and off): Wow!!! 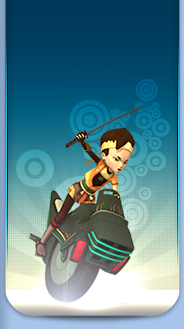 It really is great being a lyoko warrior! So? I did a pretty good job, didn't I? The lyoko warriors look flabbergasted. 17:30 Ulrich should have been devirtualised due to his fall, following his impact with the second eye of the Kolossus. 19:20 A slightly different set-up to Odd's devirtualisation. Shot of the Mantas shooting at Odd and Aelita. While Aelita keeps trying to launch the program on the interface, Odd fights on two fronts, firing at each Manta in turn. Odd (sarcastic): We dodged a bullet: when I think that we're supposed to be having a maths class right now! A laser hits him right in the chest: Odd is devirtualised. 02:30 Originally, there was no planned flashback for Yumi. 07:25 A line that's slightly different between the script and the episode. Yumi: Did you expect us to keep playing Batman until we were 80? It had to end sometime! 09:20 Generally, the flashbacks contained far fewer action scenes. 12:16 A small use of Jim's catchphrase that wasn't adapted in the episode. Ulrich and Yumi are sitting beside one another, facing each other. Imperceptibly, their faces draw closer. Back to Ulrich, who responds sullenly to Odd. Ulrich: I'd rather not talk about it. Disappointed, Odd rolls his eyes while Ulrich starts walking again.